Do you want to test Android OS on your Windows Mobile phone? 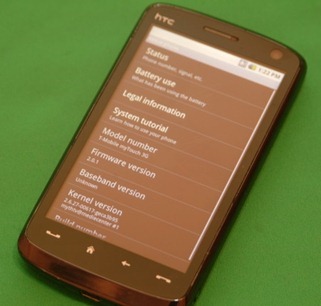 Well folks over at XDA have managed to (soft of) port Android 2.0.1 (Eclair) on selected Windows Mobile based HTC phones through an emulation software named Haret. If you have HTC Touch Diamond2, Touch Pro2 or Touch HD, you can go ahead and try it out to get a taste of Android OS on your Windows phone. Since it is only running the OS under the said emulation software, don’t expect it to run all the features properly. You can make calls, send & receive SMS text messages and run a number of apps. But sound, WiFi, Bluetooth, GPRS/EDGE are said to be currently not working. 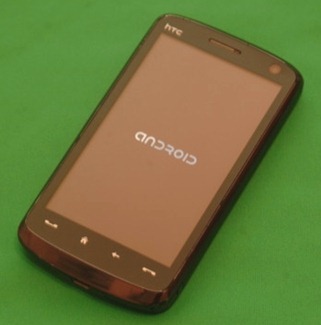 Step 1: Download the required Android 2.0.1 build for your HTC Windows Mobile phone from any of the links given below. Step 2: Extract the zip file to your computer and copy/move all the files to your SD Card. Step 3: Run Haret and wait for it to boot Android.